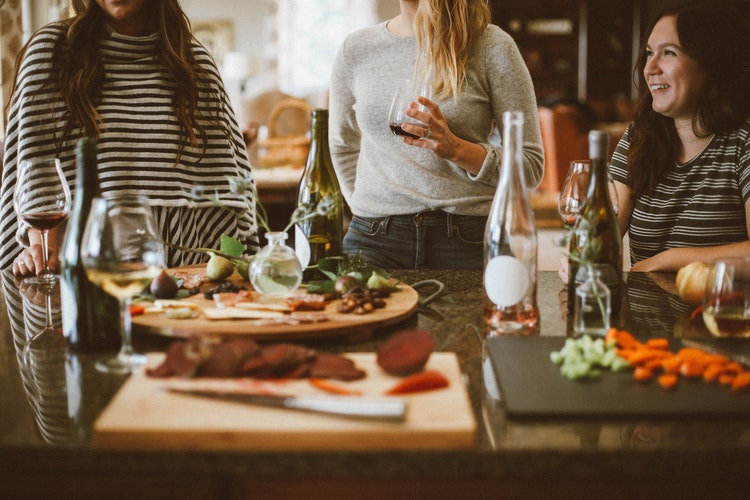 If you have plans to invite people over to your home soon, it might be time to think about how you can prepare yourself and your home so that each guest feels welcome and cared for. Here are a few ideas to prepare for holiday guests. De-clutter: Put away all those odds and ends that have been hanging around the house waiting for you to find them a home. If you don't have a plan for them or time to organize, just put them in a container and take care of organizing them later. This will make your home look tidy and inviting. Put out toilet paper in the bathroom: You want to make sure your guests can easily find more toilet paper when the roll runs out. Place a few rolls in a wicker basket or some other beautiful box. Have extra blankets handy: Whether your guests are coming for a few hours or a few days, it's always good to have extra blankets handy. Guests can wrap themselves in a blanket if they start to feel chilly or grab an extra blanket if they get too cold while trying to sleep at night. Buy the extra things you don't normally keep on hand: If you are normally a tea drinker, purchase some coffee, or vice versa. If you normally have milk in your coffee, purchase some half-and-half. Think of the things your guests might like to have. Add night lights: It's easier for your guests to find their way around with night lights in bathrooms, hallways, and other rooms. Tidy up the entryway: This is the first part of your house that guests will see. Make a positive impression by clearing out shoes, umbrellas, coats, jackets, and other visual clutter. Make sure guests have a place to hang their jackets and coats when they arrive. Place a sturdy mat at the entrance where guests can scrape off snow and mud. Make a coffee station: Set up an area with a coffee maker, cream, sugar, cups, stirrers, and napkins. Your guests will be glad to help themselves to coffee when they need that extra boost. At Gramercy on the Park Apartments in Dallas, TX, we try to make everyone feel welcome. Contact us today to find out more about our luxury amenities, the variety of floor plans, and other unique details.